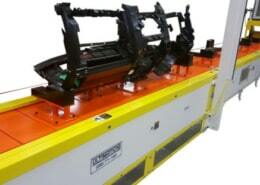 Slat conveyors are used to move components along an assembly line. They are often used where production operations are performed with the parts located on the conveyor. 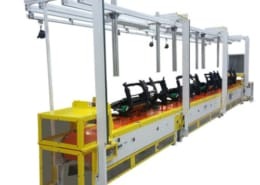 Therefore they are one of the most commonly used types of conveyor for moving parts along and assembly line while the work is being performed. They are ideally suited to applications where components are being assembled onto a fixture located at an ergonomic working height. 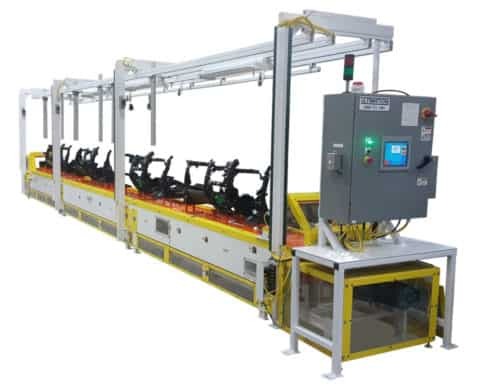 They also allow production assembly operators to work on one or both sides of the line. Fixtures can be added to the slats to enable slat conveyor parts to rotate 90, 180 or 360 degrees to facilitate better ergonomic access. During model change-overs, the tooling or fixtures can be modified or replaced, and the conveyor is re-used for another new application. 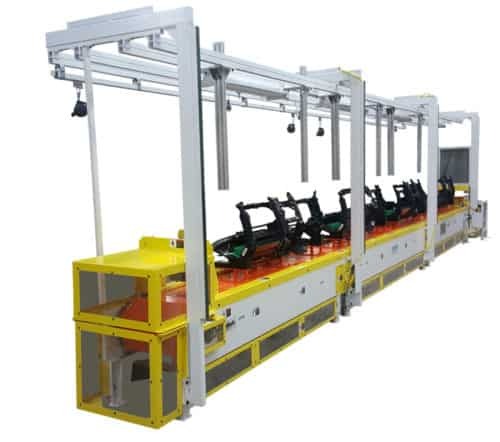 In automotive plants, a slat conveyor may be used to convey parts like instrument panels, center consoles or door trims. The are used for engine and power-train assembly. 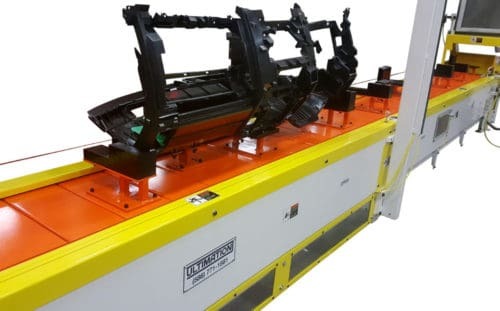 They are also used for sub-assembly of frames and axles, and on a larger scale even for vehicles after they have been fitted with the chassis components and move to the final assembly line (sometimes known as a ‘flat top’ conveyor line). Great for assembling products on either a moving assembly line or on the line at each work station while the line is stopped (before indexing to the next position). A slat conveyor provides a great stable working surface.